You can check out my bio and resume below. Or if you prefer to keep it as a souvenir, there's a download link too! 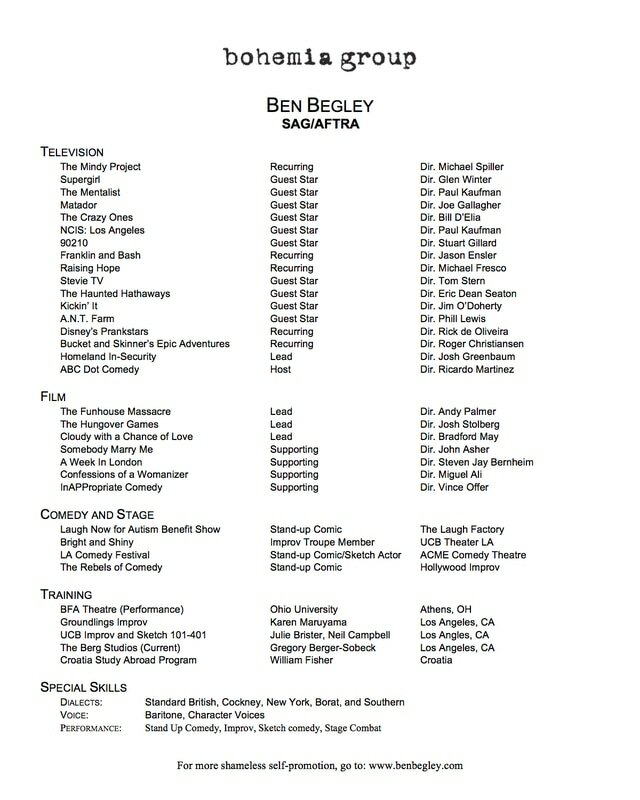 Ben Begley is an Actor/Writer/Comedian/Nerd whose television appearances include over 30 commercials and various TV shows: Supergirl, The Mindy Project, The Crazy Ones, NCIS: Los Angeles, The Mentalist, Happy Endings, and Raising Hope. And roles in feature films: The Hungover Games, Run Like Hell, Somebody Marry Me, and The Funhouse Massacre, which he and Renee Dorian co-wrote as a love letter to their favorite slasher films. For more shameless self-promotion… well, you’re already on my website.